Japan's SoftBank Group has logged an eight-fold jump in net profit in the six months to September thanks to strong returns from its investment funds. Net profit rose to 840 billion yen ($7.4 billion) from 103 billion yen during the same time last year, the Japanese mobile giant and IT investor said. 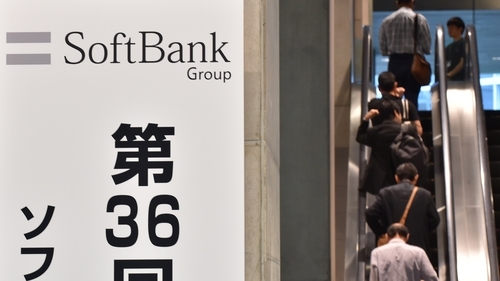 The rise was largely driven by gains of 649 billion yen from the SoftBank Vision Fund, which compared to 194 billion yen in the previous period. Nearly half of the money in the SoftBank Vision Fund comes from Saudi Arabia and there has been a pledge of another $45 billion this year. That gives the Saudis at least an indirect role in some of the hottest companies in the tech sector, including Uber, Slack, WeWork and Nvidia. But Son was missing from a high-profile Saudi investment forum last month along with dozens of global business titans amid concerns that journalist Jamal Khashoggi may have been killed in the Saudi consulate in Turkey. The company's ties with the Middle Eastern kingdom have been put into sharp relief with the Khashoggi scandal, and SoftBank shares dropped sharply when the news broke. SoftBank has also made high-profile investments in the autonomous vehicles sector, announcing last month a tie-up with car giant Toyota for "new mobility services" such as meal deliveries. Earlier this year, General Motors said the Japanese firm was investing $2.25 billion in GM's autonomous car programme in exchange for a stake in the venture.